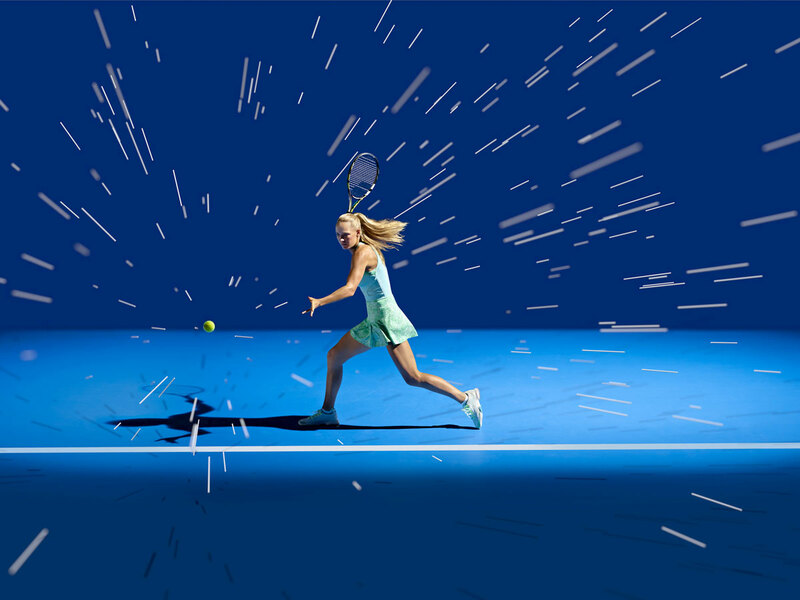 A series of images and motion graphic films exploring the movement, power and grace of a Caroline Wozniacki playing tennis. 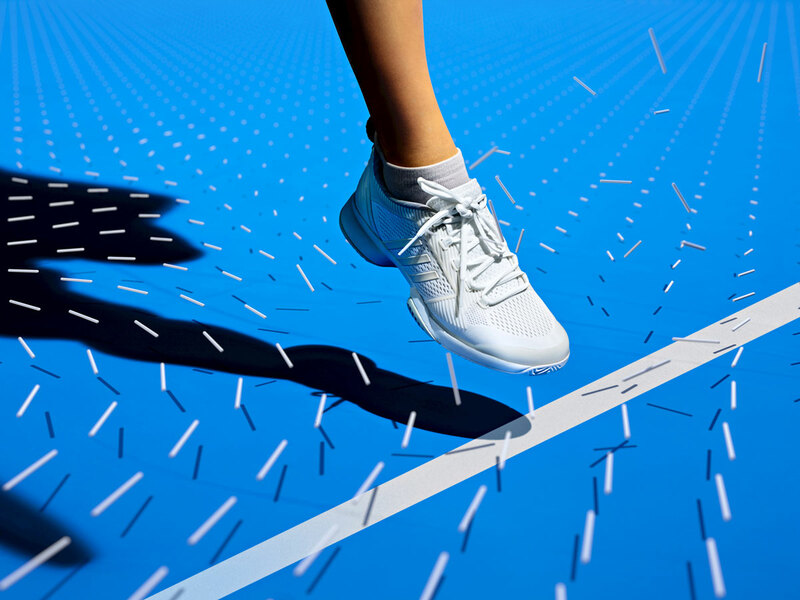 Produced with FIELD for Made Thought and Adidas. 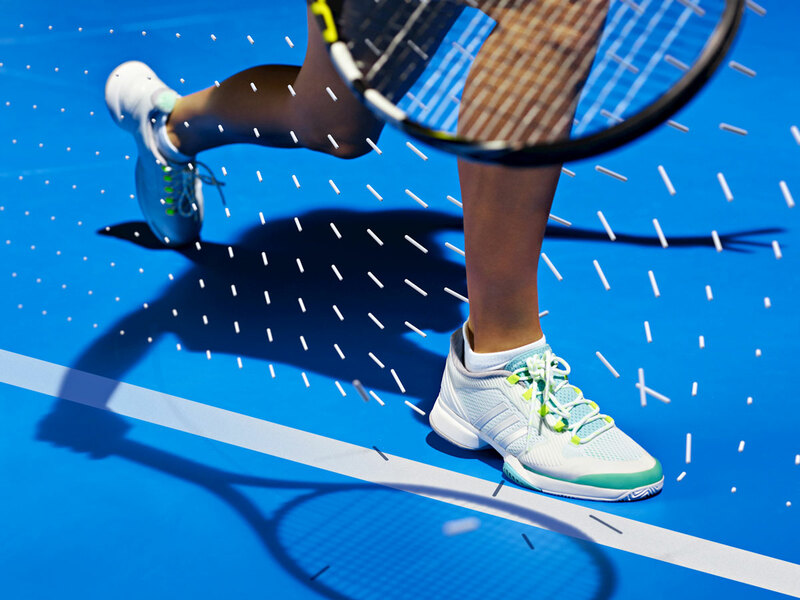 Part of the Stella McCartney Barricade SS15 campaign, launching at the Australian Open. 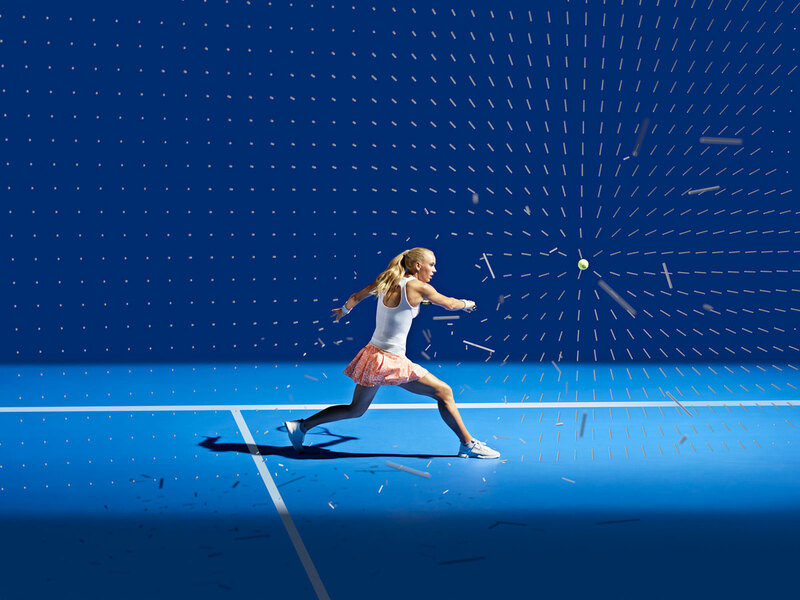 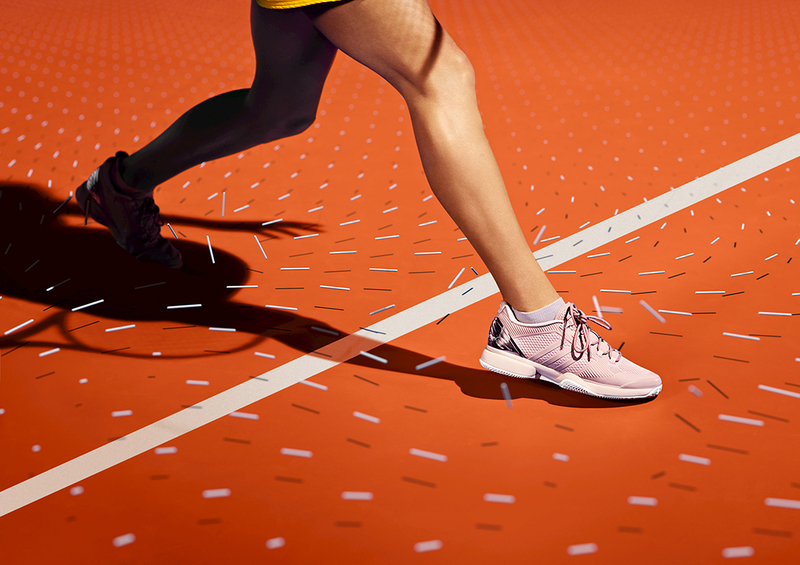 Each image is the result of a procedural animation system driven by the reconstructed movement of the tennis player to produce a data inspired visualisation of the forces and motion at work.